HE (PBUH) HAS BEEN SENT AS MERCY TO THE UNIVERSE. As the Siyer Foundation, our objective with the MERCY TO THE UNIVERSE SHORT FILM COMPETITION organized for the first time in 2014 was to explain our Master Prophet (pbuh) to the people by way of cinema which is the most important mass communication medium of our day. 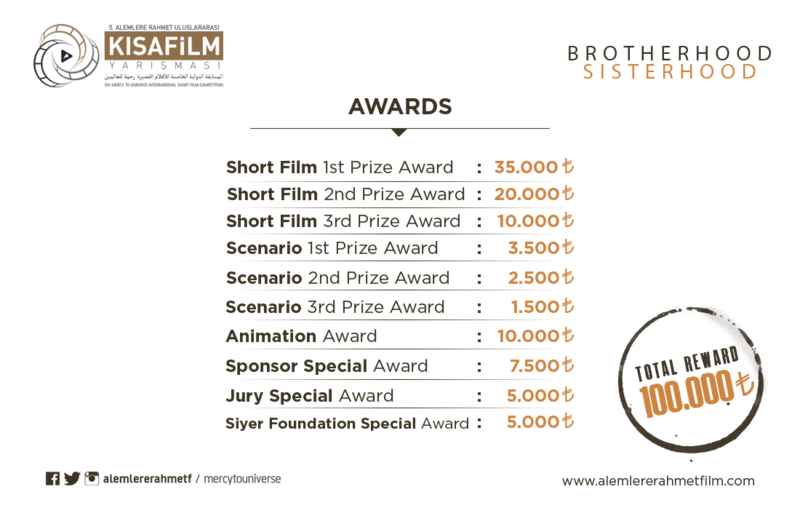 A short film competition has been organized by the Siyer Foundation within the scope of the “Mercy to the Universe International Short Film Competition” in order to ensure that short films are produced in the cinema sector which put forward the life and universal message of our Master Prophet Mohammad (pbuh), increase awareness and to support people with this intent. The 5th Mercy to the Universe International Short Film Competition also accepts application in the animated film category. Mercy to the Universe International Short Film Competition has left its 4th year behind.